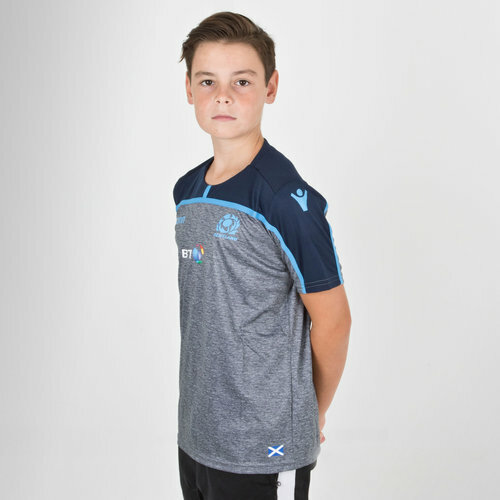 Train, go out and about or to Murrayfield in style in this 18/19 Scotland Kids Players Gym Rugby Training Shirt from Macron. This shirt is grey with navy and blue detailing on the shoulders. 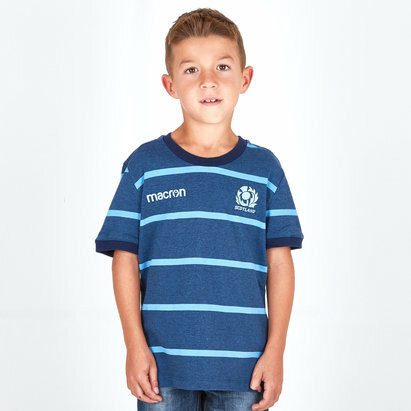 The Scotland rugby crest is printed on the left in blue as worn whilst the Macron logo is on the right in blue. The team's sponsor - BT, as of 2014 - is printed across the chest. 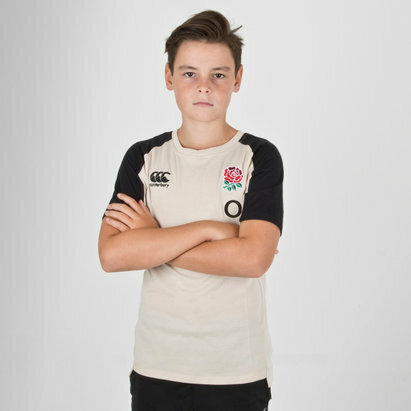 Model is 12 years old. Model is wearing: Size Large Boys.